Mid-Autumn Festival is just around the corner on 19th September 2013. Are you busy looking for some simple recipe for mooncake? Well, try this really simple Snow Skin Mooncake recipe! Snow skin mooncake tastes similar to Japanese Mochi. As a follow up to my previous blog post featuring traditional Snow Skin Mooncake recipe obtained from my good friend Helen, here’s another variety adopted from Y3K cookbook which is so easy and the result is so presentable that a novice cook can easily impress! Only 4 major ingredients are needed for this recipe - cooked glutinous rice flour (Gao Fen), icing sugar, shortening and water. In addition, don’t forget to get one cute little mooncake mould to make your favourite shape. This year, I bought myself another small mini square mooncake mould. If you wish to have a more authentic version of the homemade mooncake, you can also try to make your own fillings such as Taru/Yam paste, mung bean paste, red bean paste which I introduced before. Click on the links to get to the old blog posts for the recipe. I had shared these mini mooncakes with my colleagues in the office. 1. Sift the cooked glutinous rice flour and icing sugar in a mixing bowl. 2. 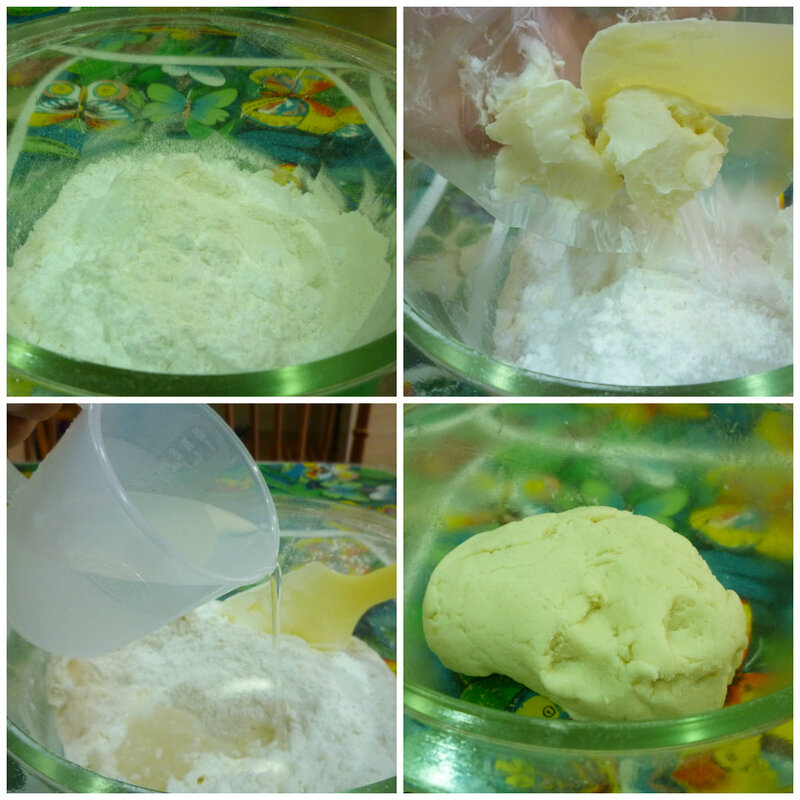 Add in shortening to the flour mixture, combine the mixture, add in cold water and knead into dough form. 3. If using food coloring, divide the dough into equal portion, add drops and knead the dough with your hands so that it comes together to become soft dough. 4. Divide dough, flatten the ball of snow skin and roll out until you get a thin circle. 5. Place the ball of filling in the center of the dough and seal the filling with the snowskin dough by wrapping around the fillings with your hands. 6. Place snow skin ball into dusted (with cooked glutinous flour) moon cake mould and press down on the lever hard so that the moon cake shape is formed and the face plate makes imprint. 7. Press to release and moon cake. Repeat with remaining dough. The mini mooncake I made using the ratio of 25g dough to filling 30g. Thanks. Wish you a happy mooncake festival, celebrating with your family. I'm live in Australia and shortening in my town it is not the same as in US. Can I use butter instead? If you use butter, the color of the mooncake will not be white, I would recommend to substitute with cooking oil, objective of oil is to soften the dough for it to be more pliable. Thanks. I found one place here do sell shortening��but very expensive!�� 450g I think cost $10.95 and when I was in CA only cost around $2.89usd. Another question why some snow skin moon cake the dough is to steam which I had try it and not too bad. Your method does not need to steam and wondering which method is taste better and you try the steam version? The key is getting cooked glutinous rice flour. Mine is cooked hence I do not need to steam again. However, the one steam they are using normal glutinous rice flour and steam to get it cooked. I'm a student of Ngee Ann Polytechnic and am currently doing a magazine project. 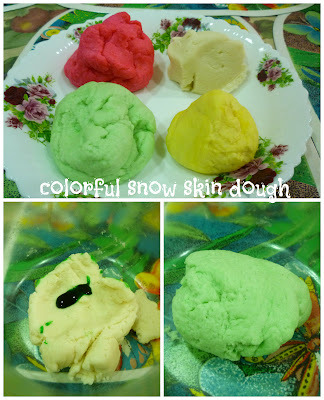 I was wondering if you would be ok if I do an article about this Easy-to-make Snow Skin Mooncake that you created. You are welcome to share the recipe, however, the recipe was not mine, I adapted from a food magazine Y3K, since the recipe not created by me, shy for me to get interviewed by you. Anyway, thank you for your offer and I felt really happy that you wish to make it as one of your project. Happy trying. Hi! I have tried the red bean paste. But when i want to roll it into balls. It is sticky and not solid enough to roll. How can i improve on that? Nice to have you here. From your description seem like your bean paste not dry enough. Next time try to cook longer to get drier texture and keep in fridge for few days before use. Hello can you help me.. Why does my snowskin keep falling apart. It doesn't form a smooth dough like yours.. Your questions too general that very difficult for me to diagnose your problem. From your desription, I can only assumed that your dough was too dry that causing the dough falling apart. Did you follow the recipe step by step ?, you should be able to get the right texture. 2) The water level you add in , must be ice water. if the dough feel dry and not easy to knead you can add a little bit more. 3) The shortening is to hold the dough. 4) left in open air for too long? or keep in fridge too long? air dry effect. Thanks for dropping by. Because it is quite easy for me to get cooked glutinous flour, I did not fry on my own. However, when I was in Auckland, my friend did it by pan fried it under low heat until the flour is slight brownish and when you taste it no raw flour taste then you get yourself "Gao Fen. " Hi when I put my mooncake into the fridge, after a day the skin turns into as if rock form. Could you please advise why? I did not sift the flour though and we used rtp water. Sorry to hear that. Mine stay soft for at least 3-4 days. I think I kept in the fridge for a week no problem, just the skin turned a bit thicker feeling but still edible. Wondering your flour that causing it. I learnt from another recipe calling to replace ice water with soda soft drink/7-up/sprite to turn the skin into soft pliable dough and claimed to last longer and softer. Yes, it is really simple for this recipe even rookie has no problem in getting it done. Wish you a great success and happy moon cake festival ahead. this seems like a great recipe to use with my kindergarten class. Can we steam the Gao Fen a day before making the mooncakes? Also, is it possible to prepare the dough one day before? Hope to hear from you soon. Thanks! 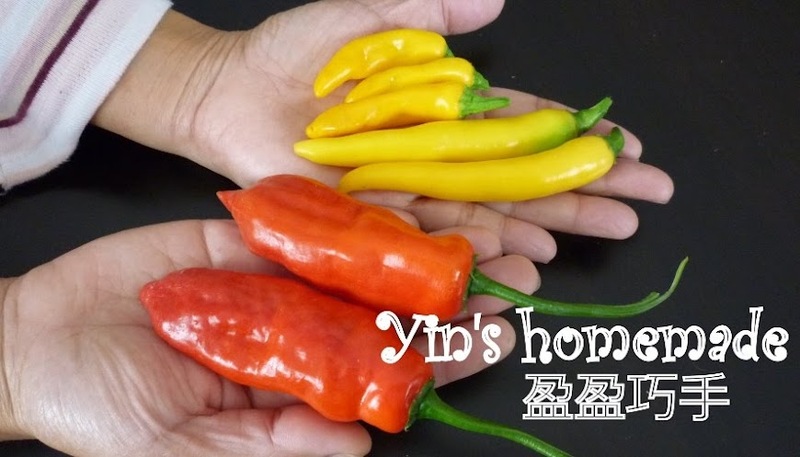 I used cooked Gao Fen and do not need to steam, just mix with cold water and can be prepared right away. Hence I don't encourage to prepare a day before afraid it might be too dry by the time you try to make the moon cake. Without prior written permission to blog owner, no part of the content in this site maybe reproduced.